Congratulations to Claire Kampwerth, our Student of the Week for the week of September 17! In her nomination, psychology teacher Mrs. Tammy Carroll stated, “Claire exemplifies the Mater Dei spirit in so many ways! She is cheerful, respectful, hard-working, and goes out of her way to be gracious and kind to others. She has a peaceful heart and is extremely generous with her time. One of my favorite things about Claire is her beautiful and contagious smile. 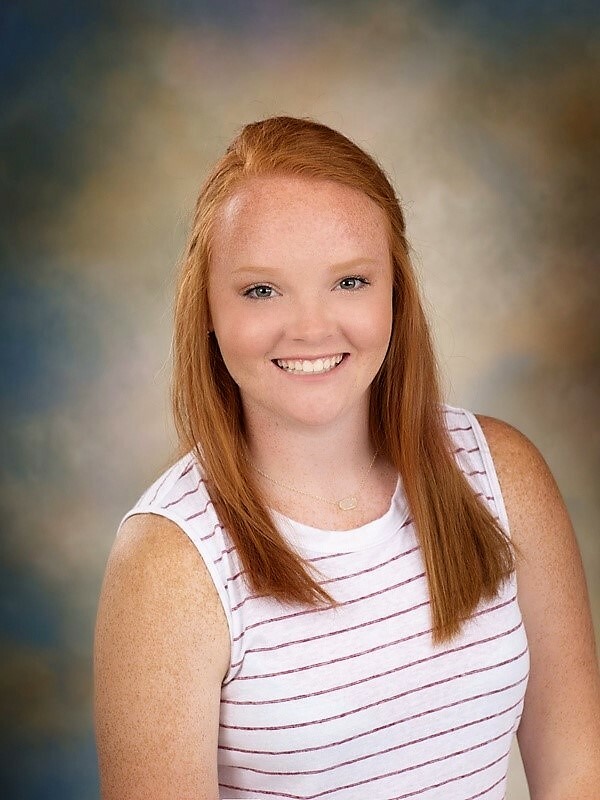 She is a natural leader and positive role model for others to follow – a true Mater Dei knight!” Claire is the daughter of Dale and Cindy Kampwerth of Carlyle and a member of St. Mary Catholic Church.